From harvesting to delivery to the sawmills and finished product coming out the other end, Vern says Marlborough forestry employs between 800-900 full time equivalents along with others involved in the industry downstream. A willingness to collaborate between organisations is the key to solving problems and reaching successful outcomes that are advantageous to everyone, says Vern Harris, Executive Officer for Marlborough Forestry Industry Association (MFIA). “We’re a voluntary organisation and have no statutory powers or responsibilities as such but try to play a role with advocacy for the industry,” says Vern. Vern believes that some people can see the forest industry as a target for complaint. He says while that is sometimes justified, many times it is based on ill-informed information. An incorporated society established in 1973 and originally known as the Marlborough Forest Owners Association, MFIA represents the collective interests of forest growers, processors, contractor service suppliers, forestry advisors and forestry related businesses in the Marlborough area. Marlborough foresters own 71,400ha of plantation forest, representing about 4% of New Zealand’s forest resource. Radiata pine makes up 95% of the forest area, about 4% douglas fir with the balance including macrocapa and cypress. “Our largest member is Nelson Forest which probably own half the forest plantation in Marlborough,” explains Vern. Representing 2-3% of Marlborough’s GDP, Vern says the direct monetary value to the area would be $250-280 million per year. Being able to respond quickly to changes and events is a key focus for MFIA. On May 1 the National Environmental Standards of Plantation Forestry, (NES-PF) came into law. “There is a lot of work that goes into that sort of thing and we’re still working through the implications,” says Vern. To help its members understand how NES-PF impacts on their organisation, MFIA recently organised a workshop in Blenheim, extending an invitaion to Marlborough, Nelson, Tasman, Murchison and Kaikoura to listen to presentations from the Ministry of Primary Industries. Vern says the presentations provided a good overview of the new laws and was generally well received by those who attended. 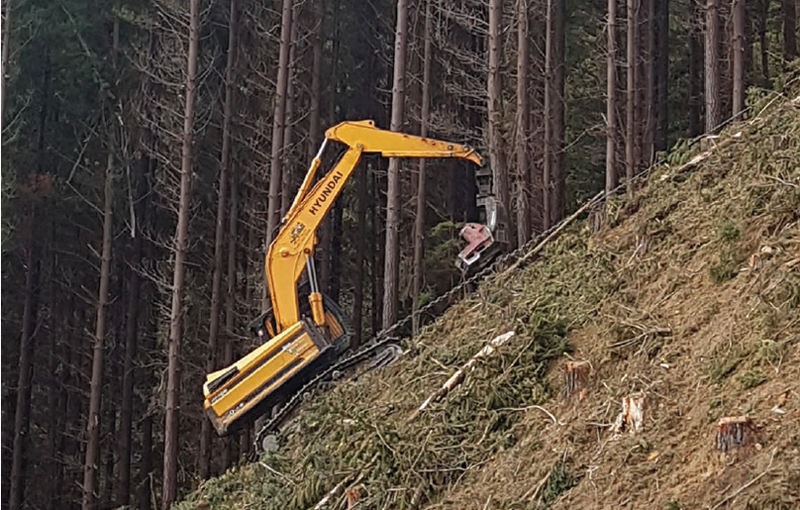 The key objectives of that legislation is to maintain or improve the environmental outcomes associated with plantation forestry activities nationally and increase certainty and efficiency in the management of plantation forestry activities.